I will let you in on something that makes me sounds hilariously hipster in a shameful “I saw an indie band by myself and killed them so I’d be the only one who knew about them” type of way. 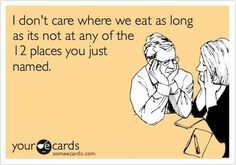 I vehemently dislike going to international branches of famous restaurants. From my experience, going to an international branch is just never as good as going to the restaurant in its original location. Whether it’s Din Tai Feng from Taiwan or Ladurée from France, the dishes at international branches often taste markedly different, and moreover, are often significantly more expensive (I’m looking at you Ippudo, Sydney branch!). Of course I do realise that it’s impossible to travel to the original restaurants every time you want to eat at them. However, I feel so incensed by this matter that I will stubbornly wait for a chance to try them again in their original, hometown glory. 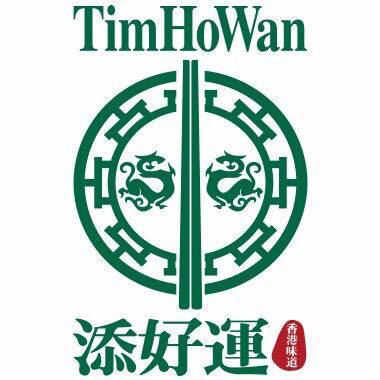 One such restaurant which I entered into unrequited long distance relationship with is Tim Ho Wan. For the unaquainted, Tim Ho Wan is a yum cha restaurant from Hong Kong which makes the most unforgettable, “I could die right now happy” pork buns. I’d like to say I’m exaggerating, but for the last year and half since I first tried them, the memory of those pork buns have fleetingly entered my mind for no apparent reason as to HAUNT AND MOCK ME. (And I wonder why I can’t find a job). So when I first moved here and spotted a branch near Taipei 101 I was willing to put aside my morals (read: ridiculous food snobbery), and go. However, when I asked around about going, the conclusion was a resounding “Don’t”. Words to the effect of “horrible” and “I’d rather watch Two and a Half Men than eat there again” were used. OK, no food is that bad, but I was shocked at how negative their reviews were. 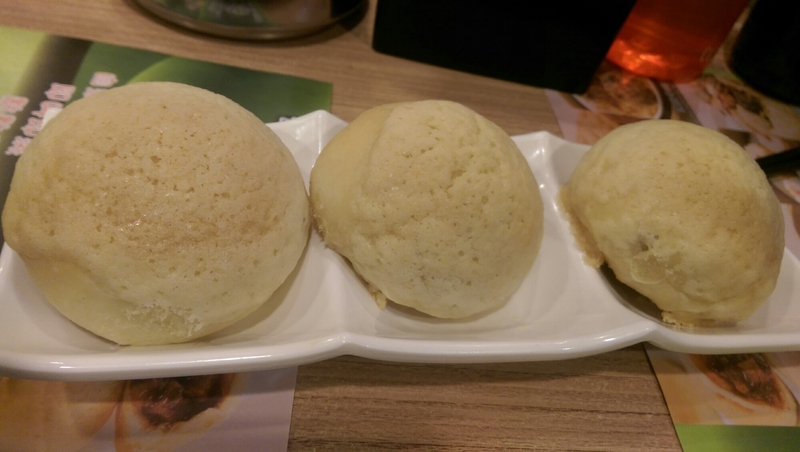 So I sighed heavily and tried to continue enduring a Tim Ho Wan-less existance. 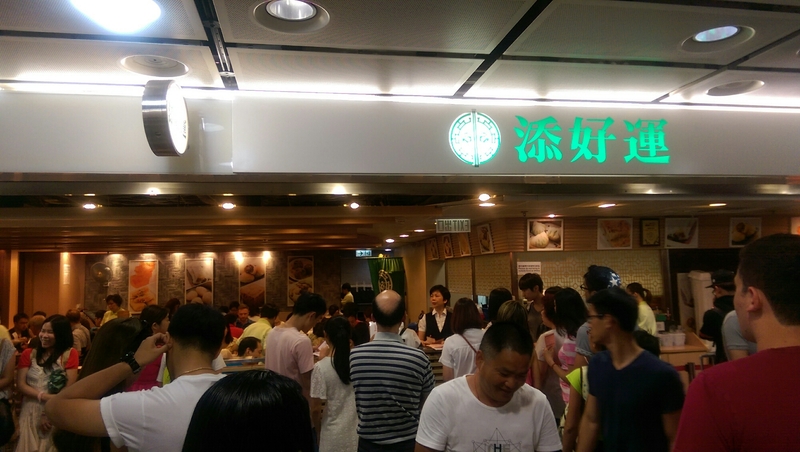 It goes without saying that going to Tim Ho Wan during my Hong Kong trip was non-negotiable. My poor friends Amy and Celine must have thought I was delirious with how many times I mentioned it, and were kind to ignore the drool that cutely formed at my mouth each time. On our second day I awoke with a renewed energy for life. I would finally meet my estranged lover again. And he did not disappoint. Arriving at the Tim Ho Wan branch in Hong Kong Main Station at around 11:15, we were given the standard Tim Ho Wan greeting- a mass crowd. I literally ran to the service counter to take a number and menu. We poured over the menu, debating heartedly on what we would be the perfect food to food ratio. We waited an hour, so expect to wait upwards of 45 minutes. 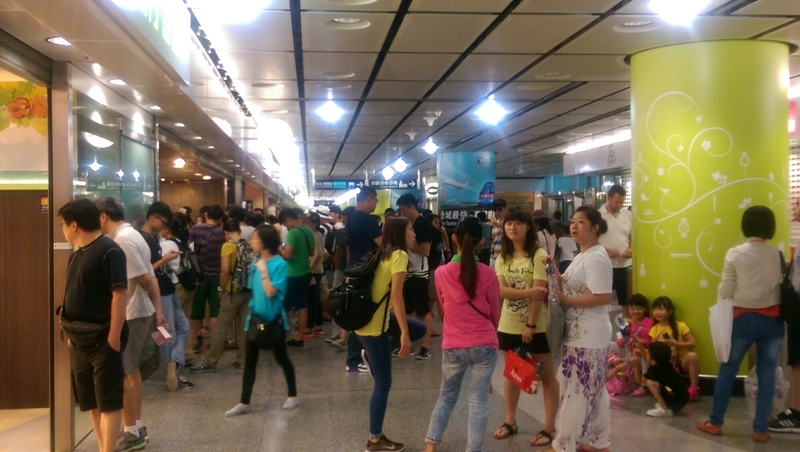 The great thing about this MTR location is that it’s indoors, air conditioned, and close to a mall for those who want to take a stroll as they wait. We were to paranoid to leave our post, and when our number was nearing we moved to the front of the service desk. “Yi Bai Shi Liu” (116) the lady announced. “YES!! !” I not so subtlety exclaimed, as if I’d won a fridge on The Price is Right. Suddenly, the stern faced lady who called our number erupted with laughter. She was bemused by over zealous reaction. I made a note to remember to use my “inside voice” in public places. We handed our menu in and after a short wait were whisked to our table. 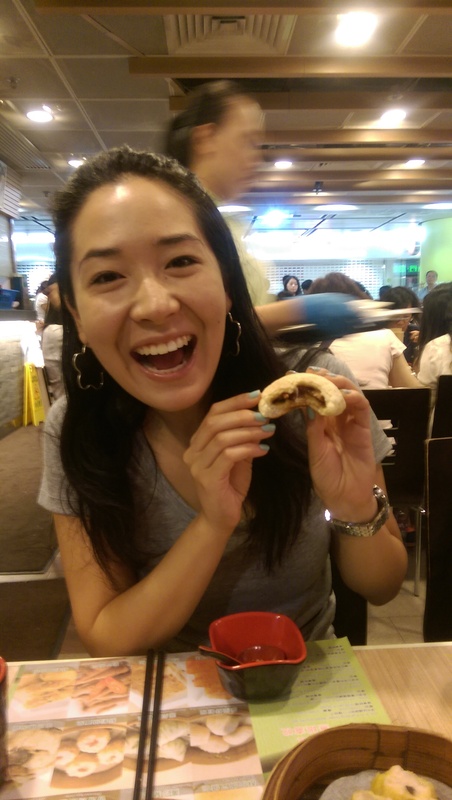 The wait was excruciating, but we were soon enough rewarded with our treasure of golden, perfectly created pork buns. I remembered how lip-smakingly delicious the Pork Ribs with Black Bean Sauce were last time, and insisted we order them (pictured below, top). This time round they were just as tender and fantastically juicy. The portion is quite small and it’s a bit fiddly to eat, but trust me and order them. 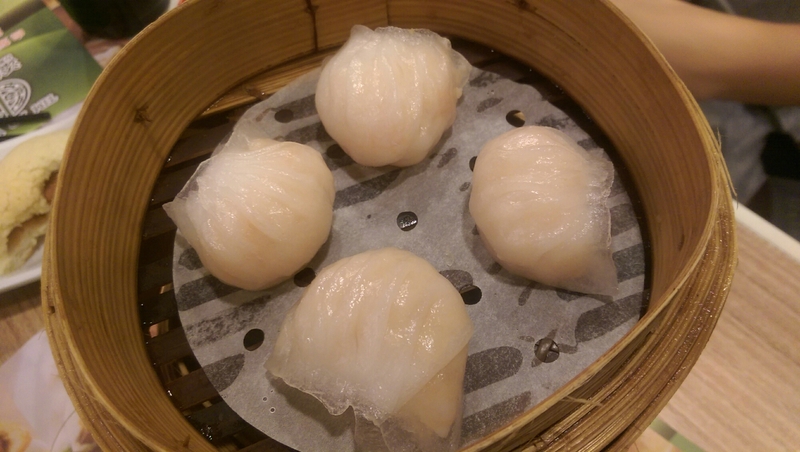 The crystal skin encasing the plump and plentiful prawns in the Har Gao had us cooing for more. I was surprised how sweet the prawns tasted and wondered how the chefs managed to pack so many in such a delicate casing. Another must order. 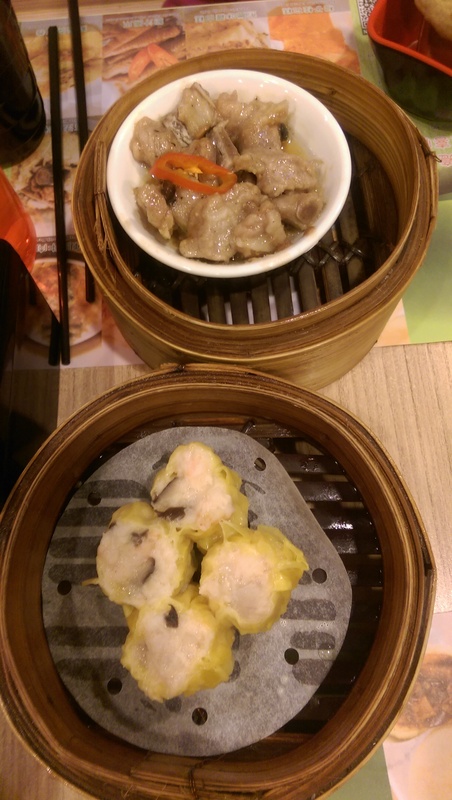 The Shumai and fried balls of pork were quite good too, however they weren’t as memorable as the other dishes. I was disappointed to find the Prawn Steam Rice Rolls rather mediocre. The sauce wasn’t punchy enough and the taste of the rolls was rather lacklustre. We all agreed that we’d tried better elsewhere. Last time I had the BBQ pork version which was much, much better (good ol’ BBQ pork will never let you down). 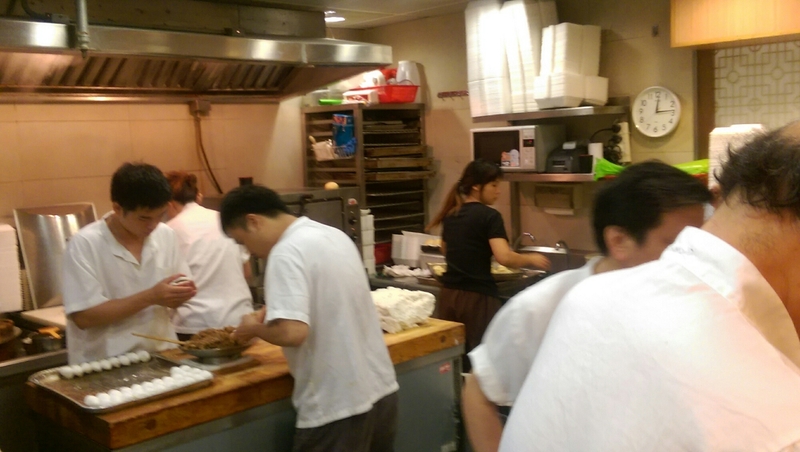 With round one done we had a crushing decision to make- should we get one or two more sets of pork buns. I wish I could hide our gluttony, but, I don’t ever want to lie to you dear readers. We decided to get one more set, and Amy and I split the aforementioned har gao, and Celine ordered an “egg cake” bread. It was a light, fluffy as a cloud, slightly sweet bread which you could eat alone, or use to soak up the juices from other dishes. 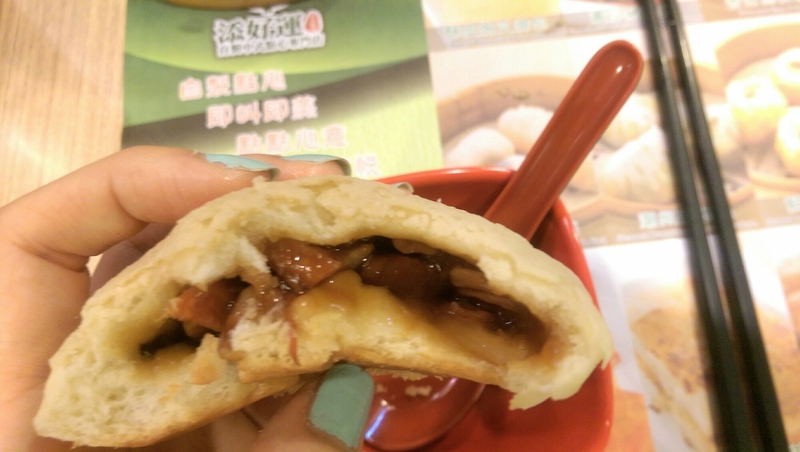 We all savoured another chance to eat the pork buns, and for a moment, everything was perfect in the world. Our happiness continued when we got our cheque- only HK$188 for everything, including the mandatory tea surcharge. 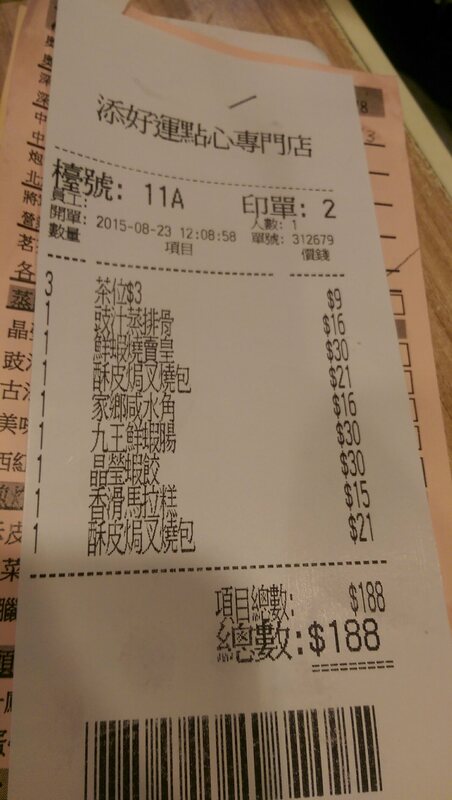 That’s TW$800 AU$35, US$24 US, Y2800- which split by 3 people is nothing for yum cha. The exit we made was not a dignified one- we hobbled out clutching our stomachs. “OMMAAHHGGGEDDDD I am so full I can hardly walk”, we sobbed. 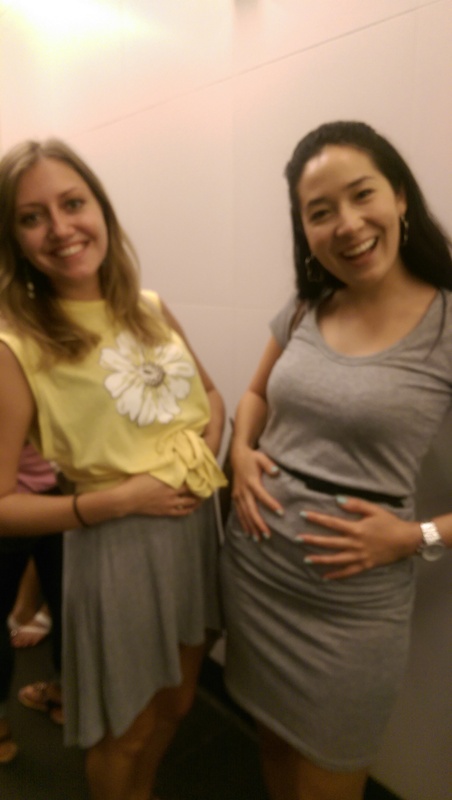 I looked down at my stomach and sure enough there was an adorably massive food baby bump. 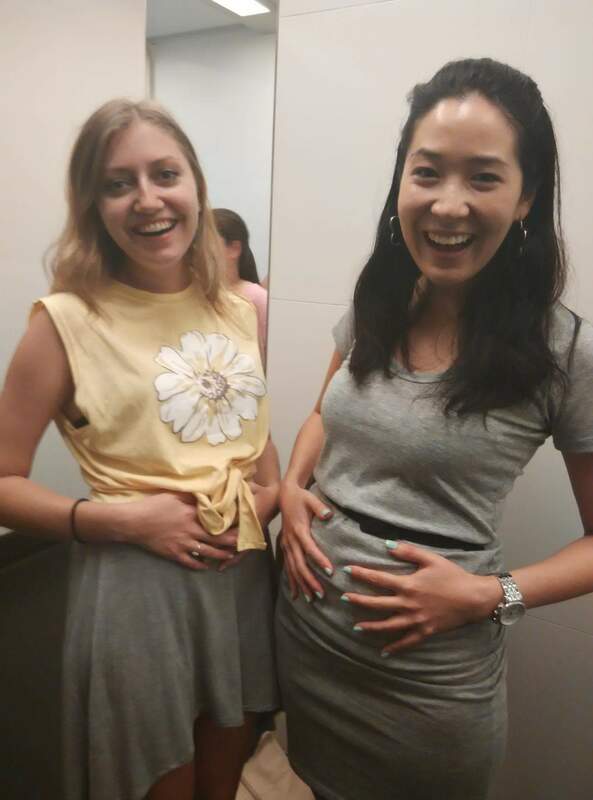 After parading around our bumps, I turned to Amy and Celine and said the only thing I could at such a time- “I’ll call my baby Tim, you guys can call yours Ho and Wan“. It seems maturity hit me all at once in that very moment. In case you managed to miss the very overt underlying message to this entry, I’d strongly recommend a trip to Tim Ho Wan if you find yourself in Hong Kong. Details at the end of the post! 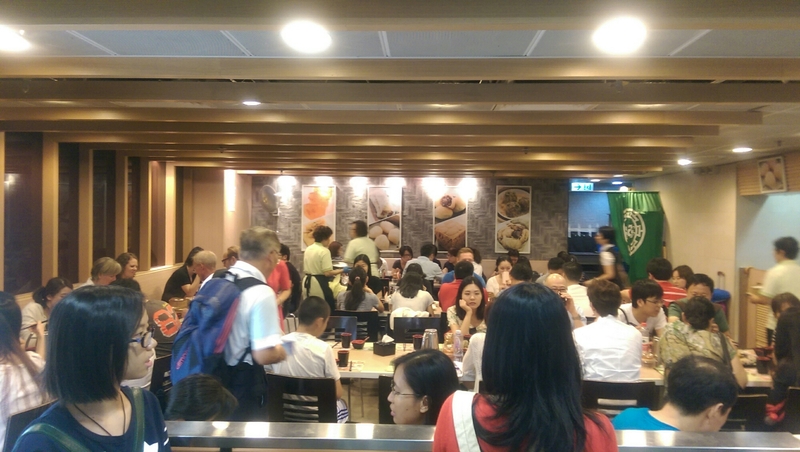 I was planning to talk about my whole Day 2 in this entry, but I think my Tim Ho Wan musings needs its own entry. Hope your stomachs aren’t grumbling too much!